My passion for these fine boats began over 50 years ago, as a young boy growing up on the Bay here in Mobile. My Dad owned many Stauters, and I would help him sand and paint the boats every spring as we readied for fishing season. We have a deep appreciation of these legends….and Lawrence Stauter, who established Stauter Boat Works on the Mobile Bay Causeway back in the late 1940’s. 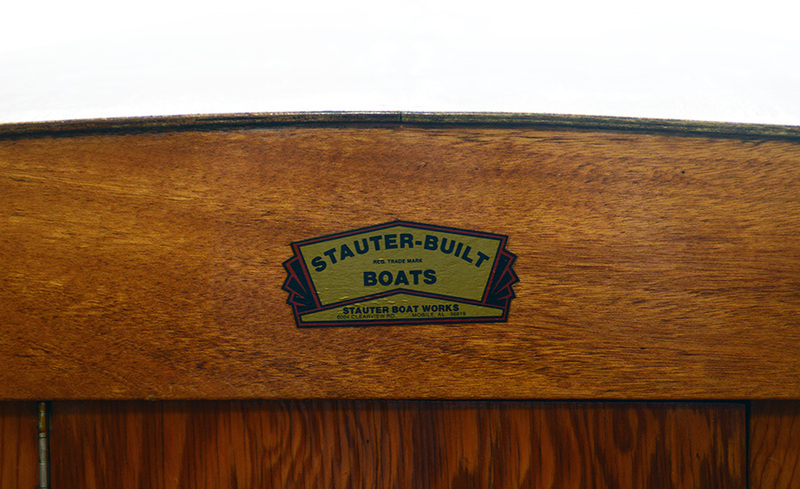 The history of Stauter Boats is is both legendary and remarkable. Aside from the clean aesthetic lines and functionality of these wooden craft, the amazing fact that 50 and 60 year old boats are still running Mobile Bay and the Delta talk clearly about the quality of craftsmanship that went into building them. 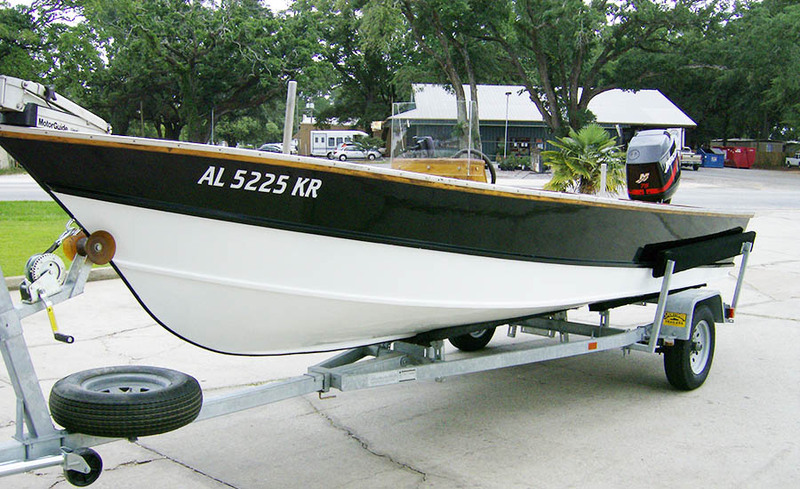 Additionally, I have a deep personal respect for Mr. Lawrence Stauter, who designed and built these boats. 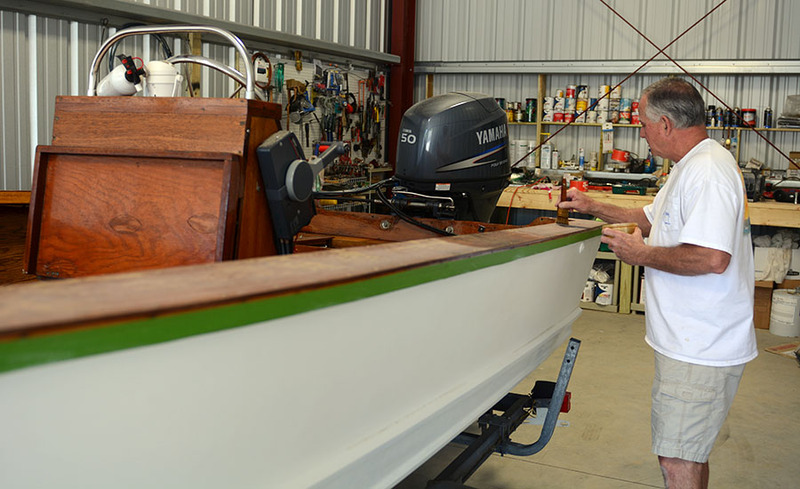 Mr. Stauter had the common man in mind, and knew that men coming back from the war would want a solid, dependable and affordable boat that they could either fish from or take the family for an outing in. 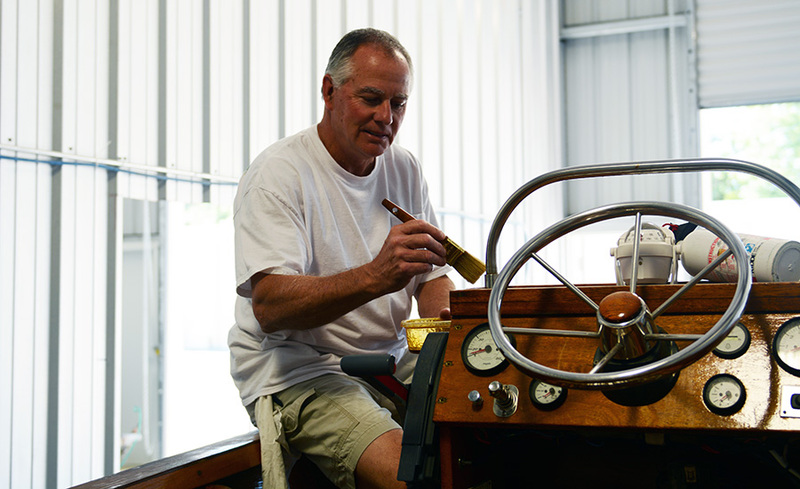 In addition to Stauter-Built boats, we work on other wooden craft as well such as Negus(another fine Mobile tradition), Chris-Craft, Thompson, Pen Yan and any other make or model. 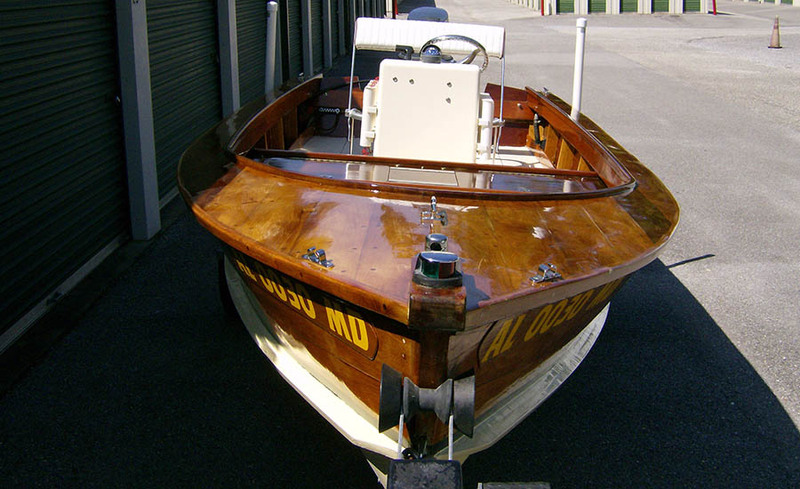 Depending on the condition of the wooden boat, our services can be classified as a Cosmetic Restoration, Customization Project or Structural Repair/Cosmetic Restoration.. This is the most common of all of our project work, and could actually be termed maintenance. Clients want a new coat of paint, scratches & nicks repaired, perhaps a new color scheme, and/or fresh varnish on all of the brite work. 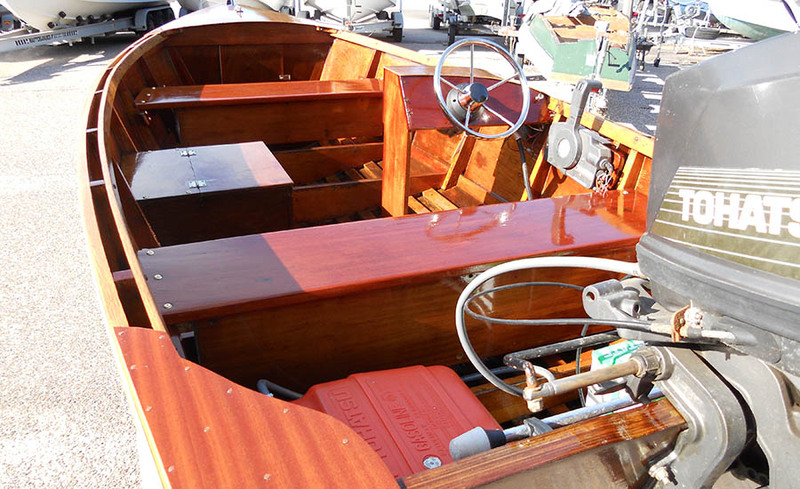 This project category is extremely important in that it extends the life of the wooden craft and directly contributes to the boat either maintaining or increasing its market value. 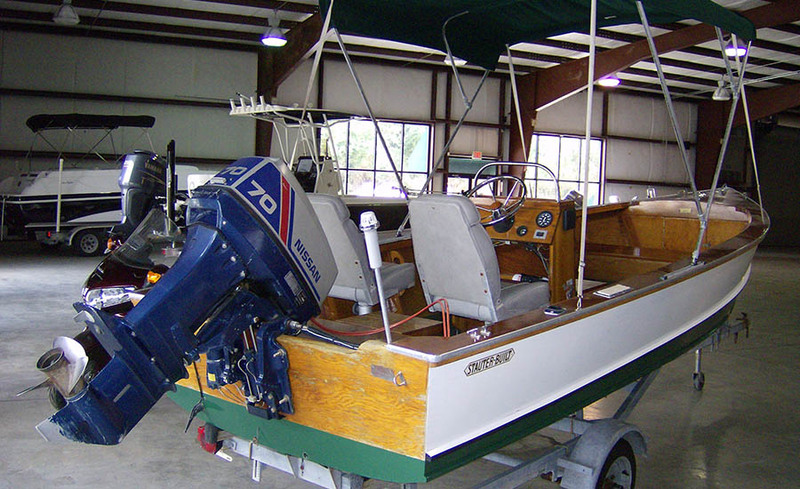 This classification of work normally retains the original manufacturers design and layout of the boat. 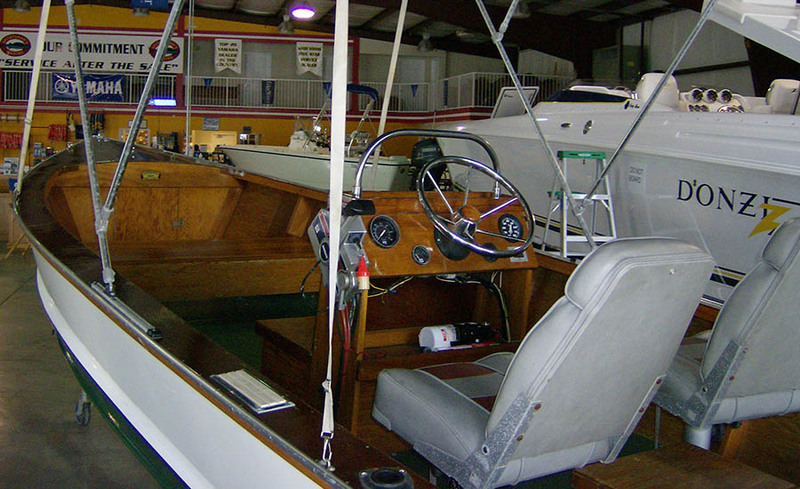 This category of project can either incorporate the original internal features of the boat with specific needs of the owner OR it can be a complete remodel of the inside layout of the boat. 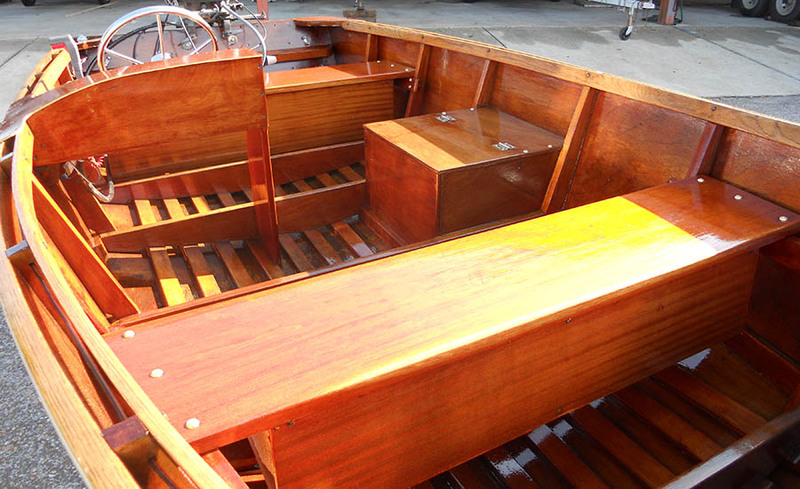 Examples of change are going from side console steering to center console steering; removal of standard capped front bow and replacing with a larger flat casting deck; removal of rear bench seat and adding a larger flat casting deck; removal of existing or installing new livewells; installing new mahogany non-slip slat floorboards; removal of forward bench seat and replacing with side jump seats; installation of new lighting and/or electronics. Projects of this nature significantly increase the market value of the boat. The work in this category requires the replacement or repair of defective structural components. 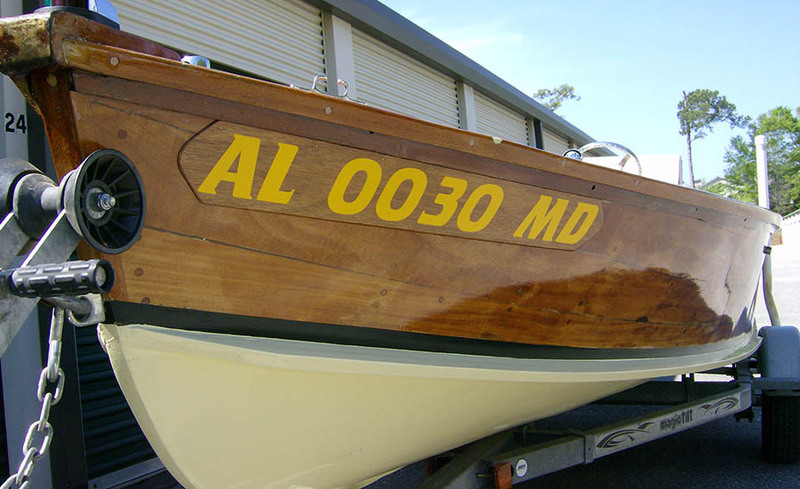 In most cases, but not all, the repair of major components of a wooden boat will also require a cosmetic repair as well. 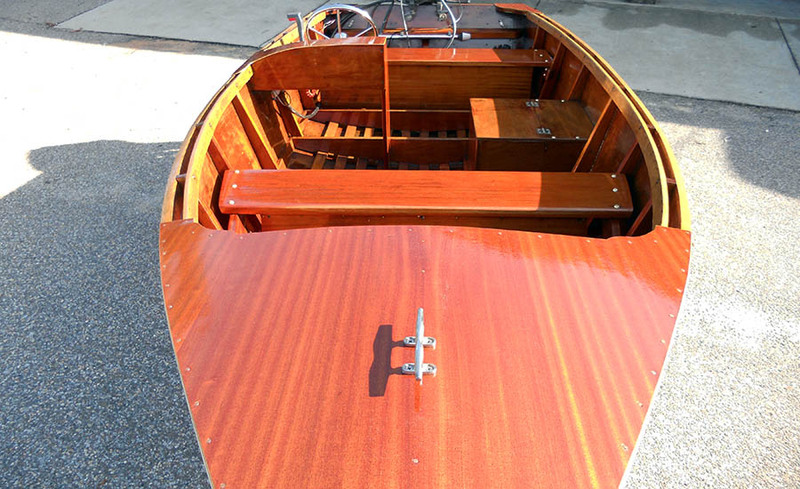 All components of a wooden boat work together in adding strength to the overall craft itself. One component depends on the next one to perform, and when either breaks or fails in some way, then they are both compromised. Structural components involve keels, transoms, floor and wall ribs, floor stringers, gunwales, seating and framing for items such as bow caps, etc. 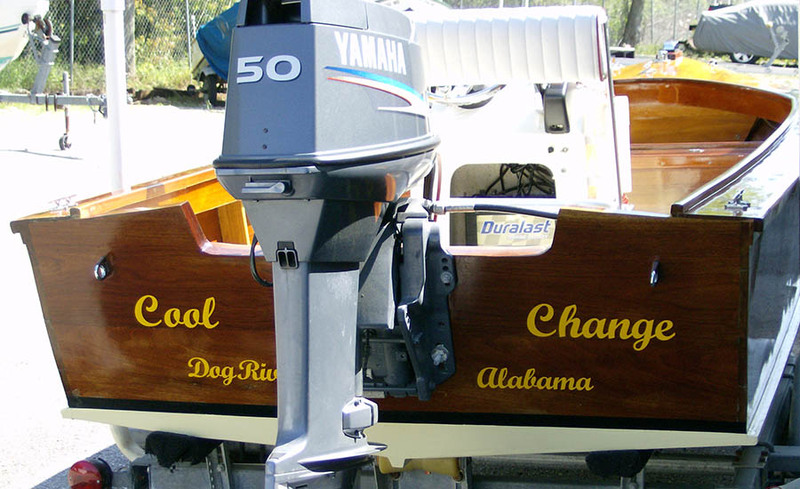 Since most all of these items connected to an outside component such as the wall or bottom of the boat, in most cases a cosmetic repair is required. Projects of this nature bring the boat back to a market value of where it can compete with other wooden boats of its same make, age and condition.